The term Ama (海女 in Japanese) appears in the oldest Japanese anthology of poetry, the Man’yoshu, literally meaning ‘woman of the sea’. 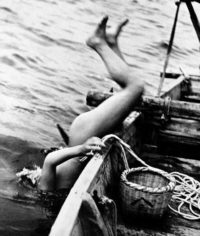 The Ama of coastal Japan specialized in freediving up to 30 feet in the cold waters wearing nothing more than a loincloth. 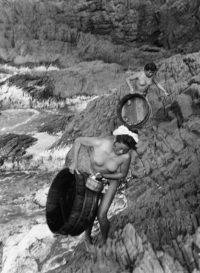 Utilizing special techniques to hold their breath for up to 2 minutes at a time, they would work for up to 4 hours a day in order to gather abalone, seaweed and other shellfish. 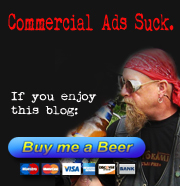 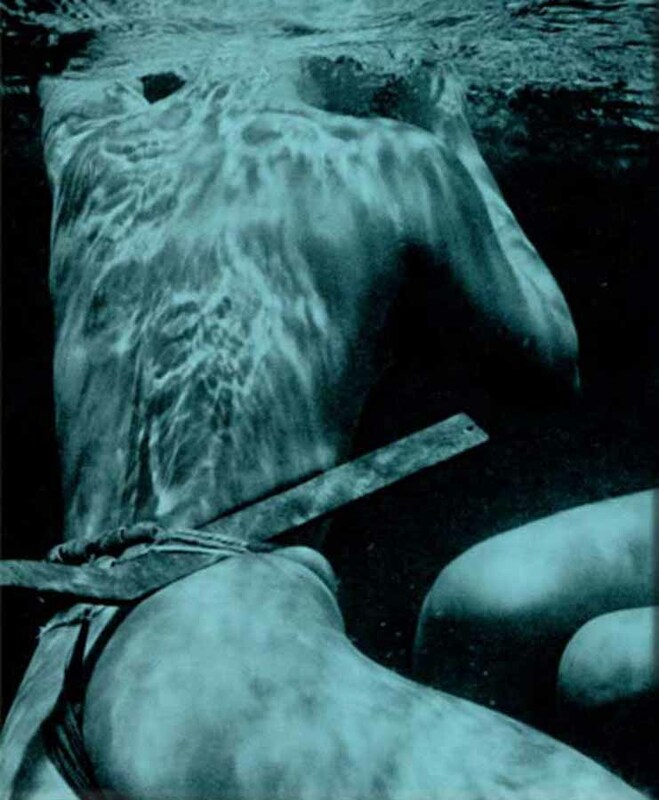 As women, they were believed to be better suited for the task because of an extra insulating layer of fat on the female body that allowed them to hold their breath longer than the men; with this advantage, they could also make more money in a single diving season than most of the men in their village would make in a year. Traditionally for Ama, finding a pearl inside an oyster was akin to receiving a large bonus while they went about their ancestral practice of collecting shellfish. 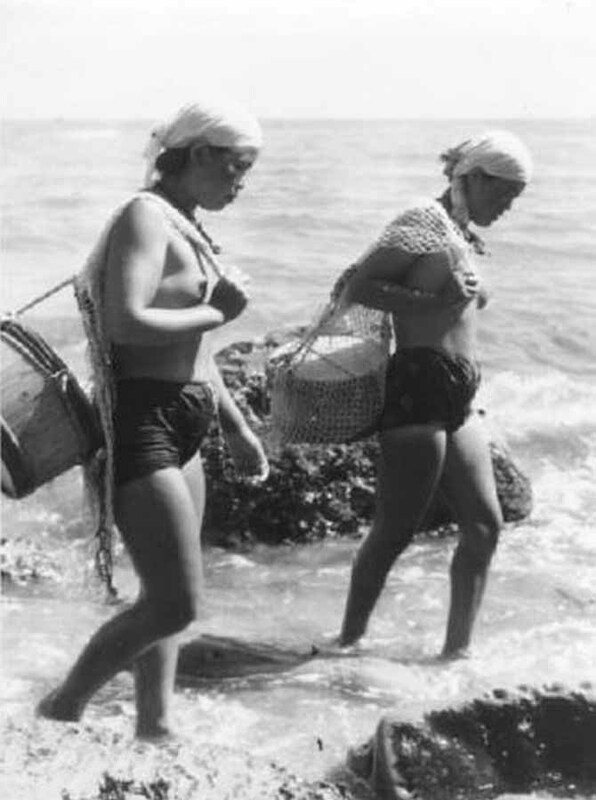 That changed when Kokichi Mikimoto, founder of Mikimoto Pearl, began using Ama divers to look after his cultivated pearls on Mikimoto Pearl Island, near Toba city. 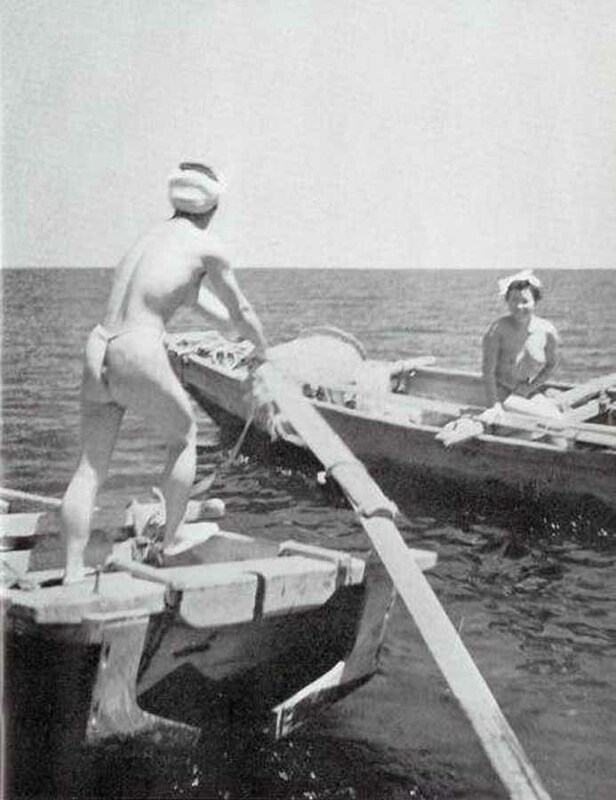 This business was the main reason for the strong association between Ama and pearl diving among foreign observers that continues to this day. 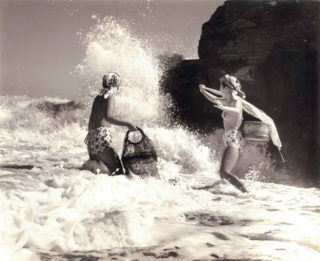 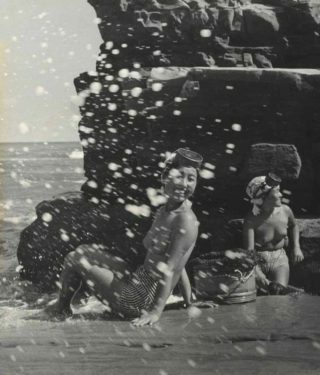 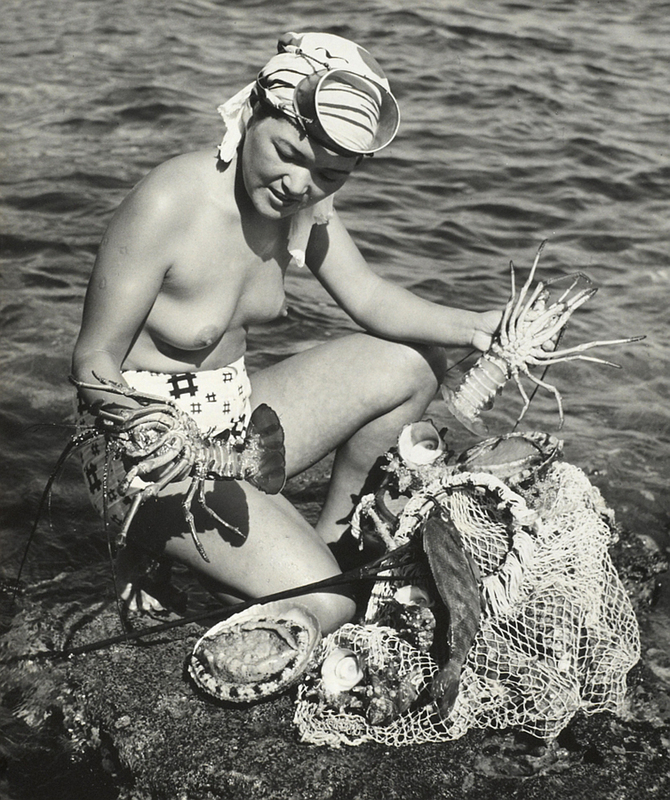 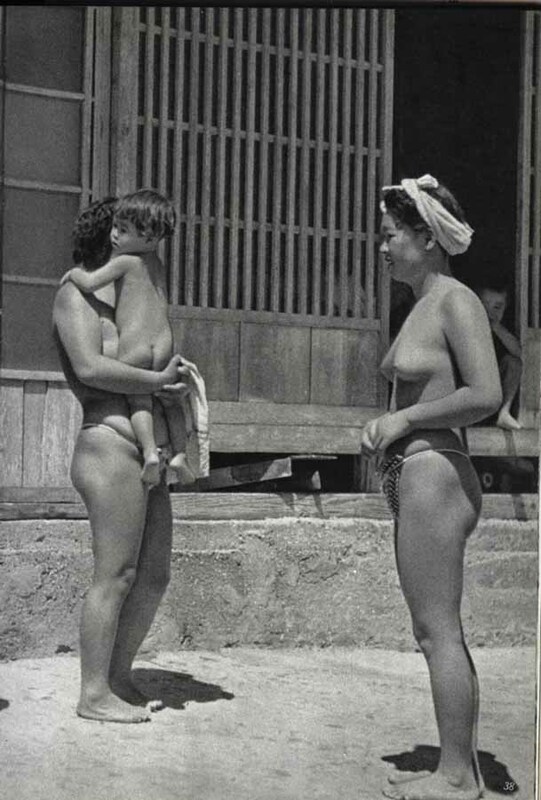 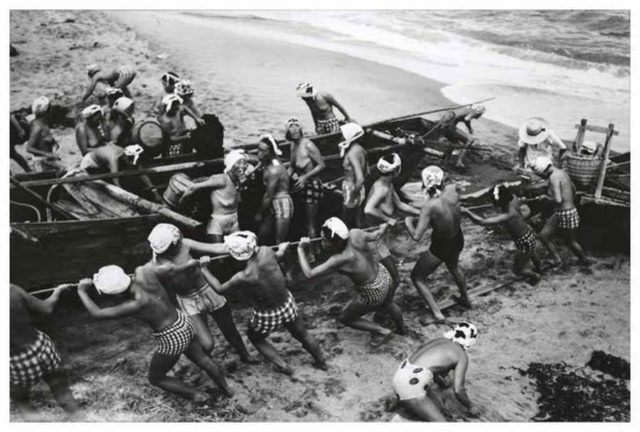 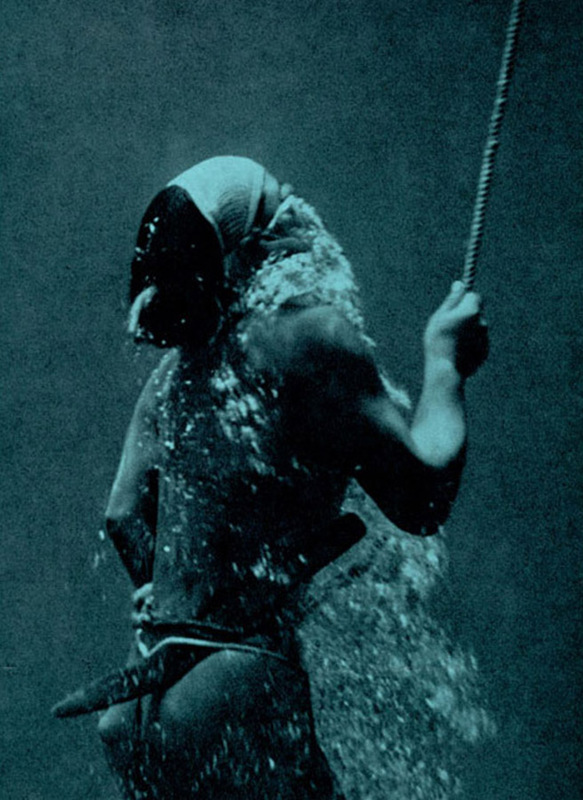 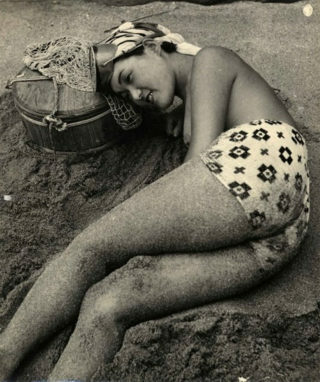 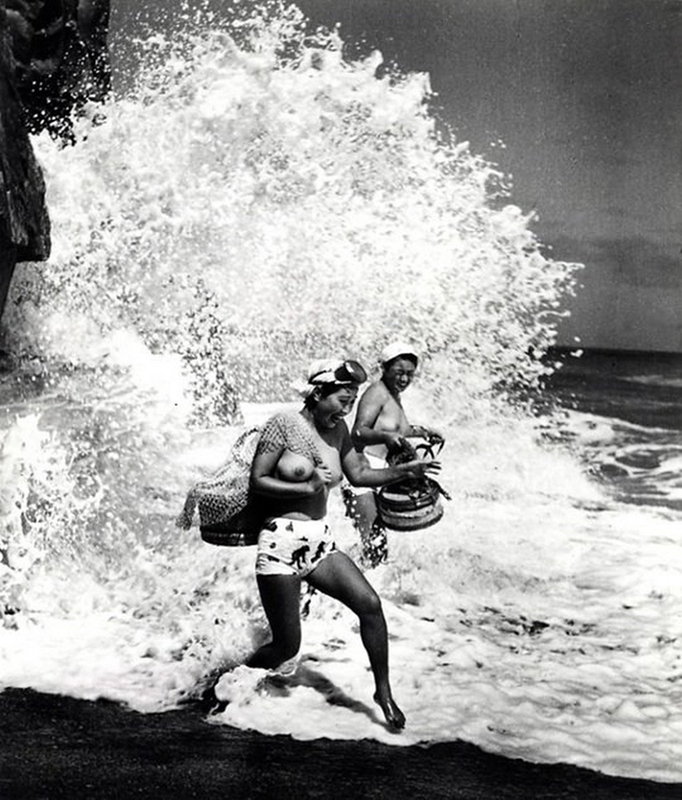 As tourism in Japan grew, outsiders began to comment on their nakedness and Ama divers were eventually required to wear diving suits of white cotton by Mikimoto. 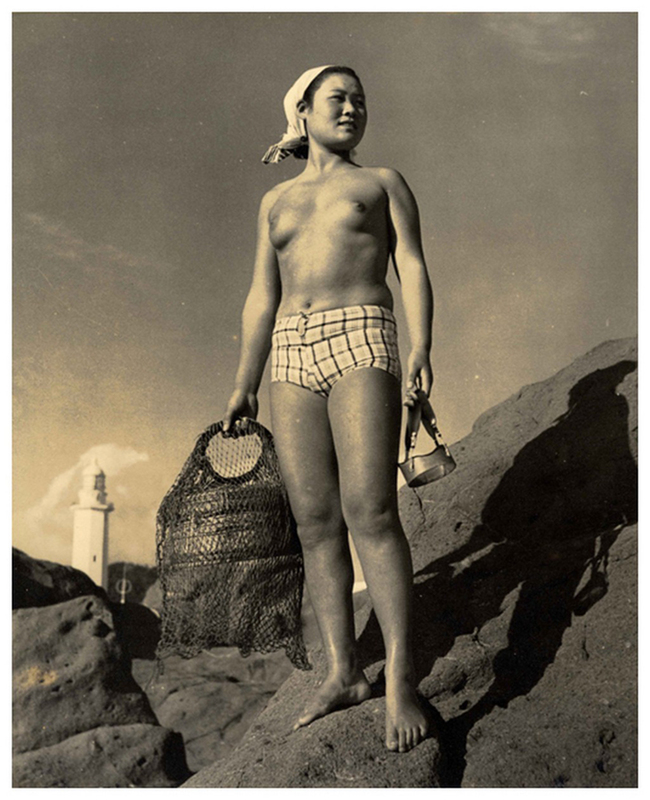 Iwase Yoshiyuki was born in 1904 in Onjuku, a fishing village on the pacific side of the Chiba peninsula, which encloses Tokyo Bay on the east. 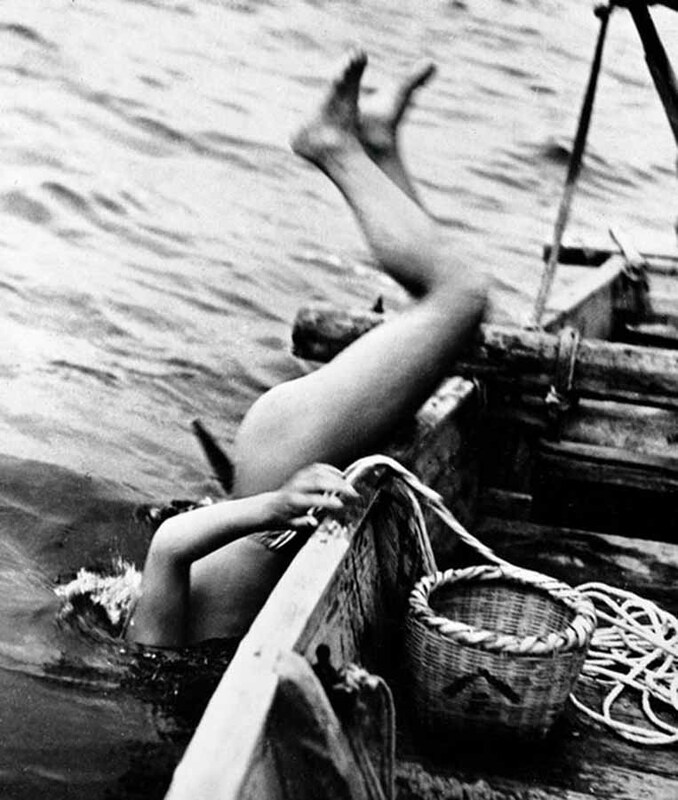 After graduating from Meiji University Law School in 1924, he took up lifelong pursuits, heading the family sake distillery and documenting the receding traditions of coastal Japan. In the late 1920’s Yoshiyuki received an early Kodak camera as a gift. 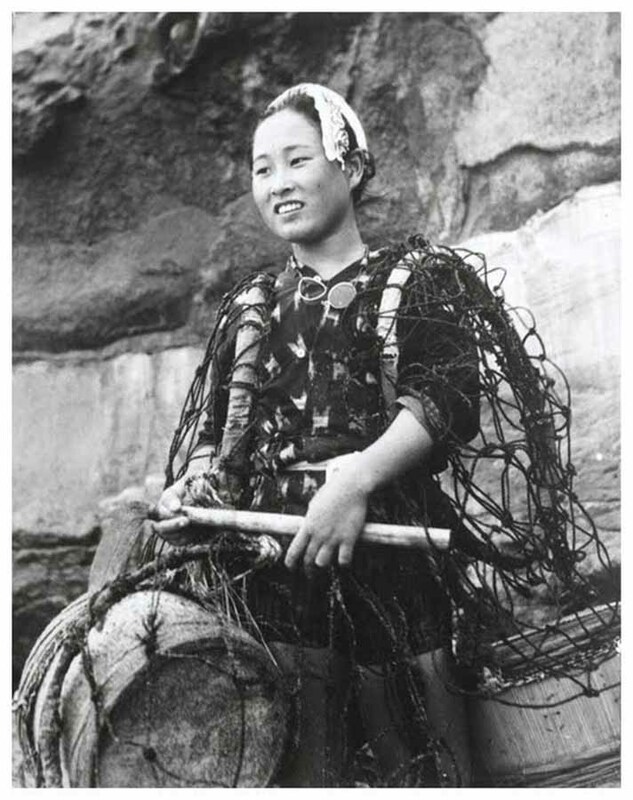 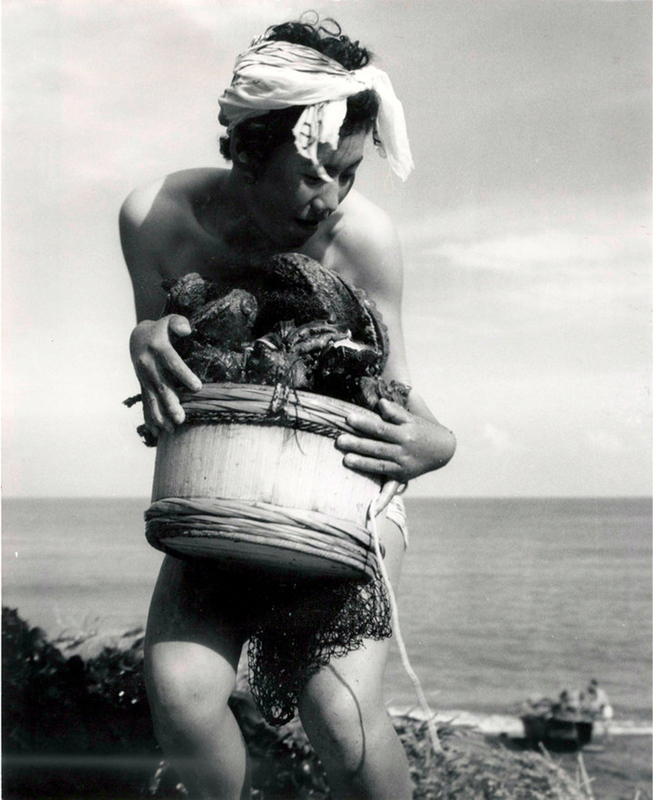 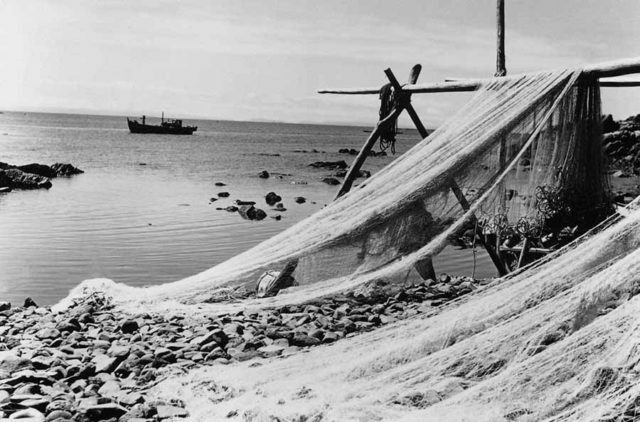 Since the main livelihood of the town came from the sea he gravitated there, and soon found a passion for “the simple, even primitive beauty” of ama – girls and women who harvested seaweed, turban shells, oysters (which sometimes had pearls) and abalone from beneath the coastal waters. 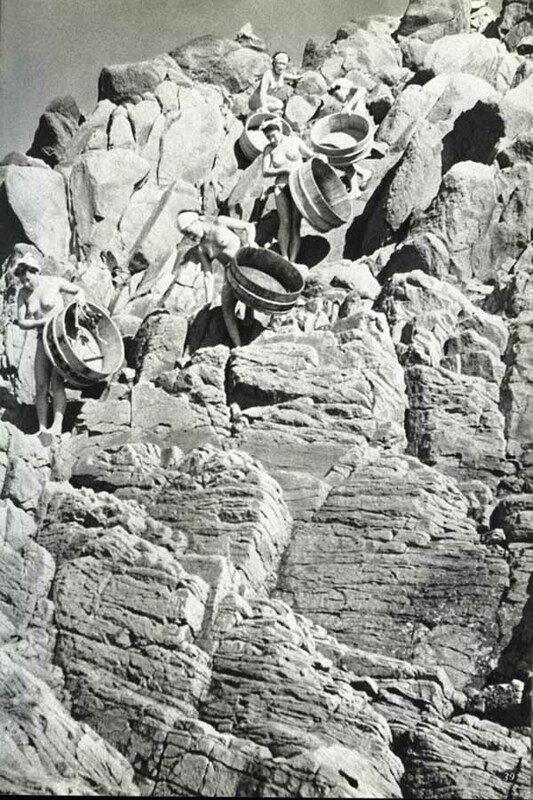 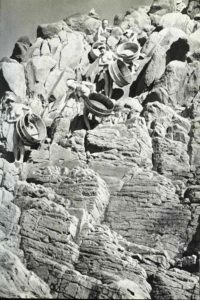 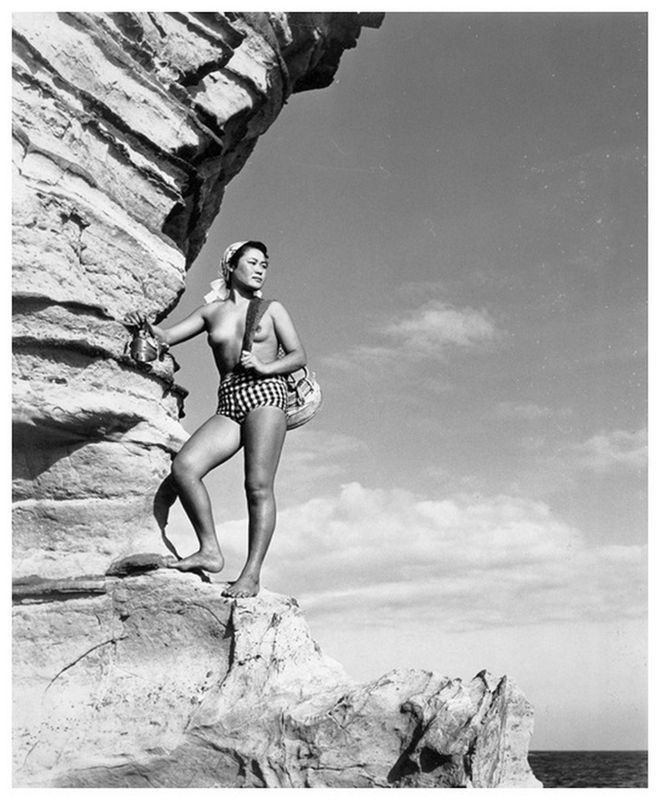 Fosco Maraini (15 November 1912 – 8 June 2004) was an Italian photographer, anthropologist, mountaineer and academic. As a photographer, Fosco Maraini is perhaps best known for his work in Tibet and Japan. 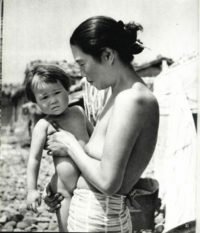 From 1938 to 1943, Maraini’s academic career progressed in Japan, teaching first in Hokkaido (1938–1941) and then in Kyoto (1941–1943). 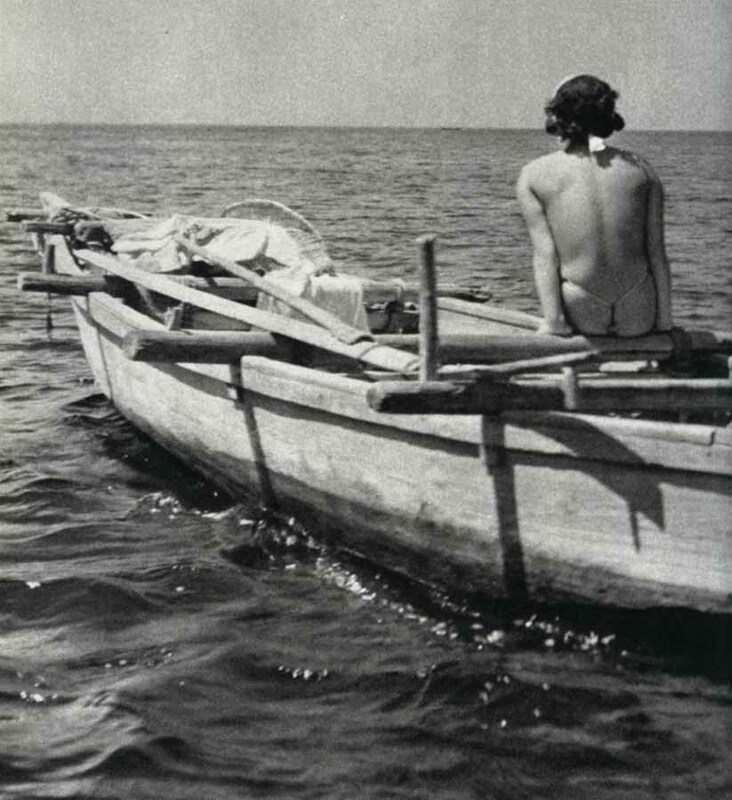 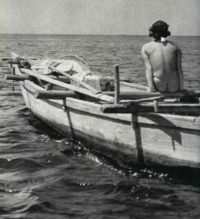 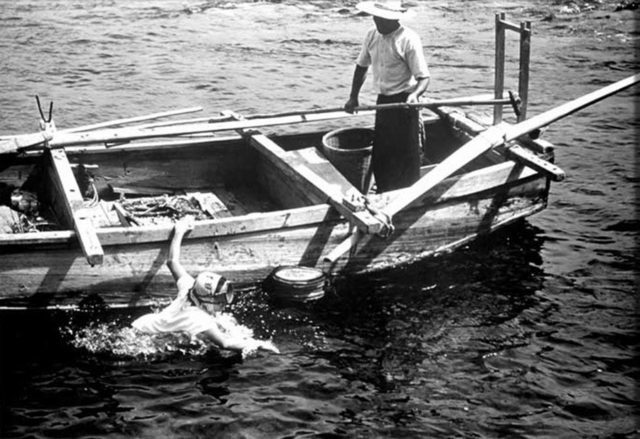 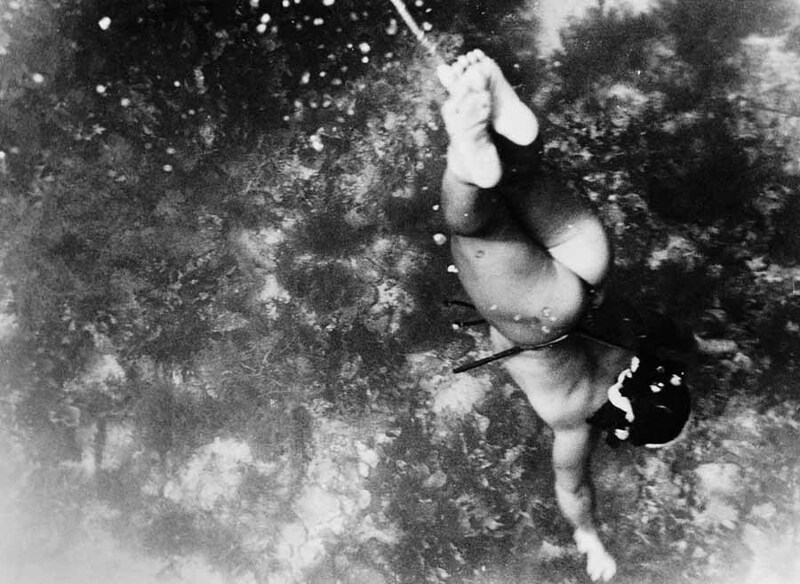 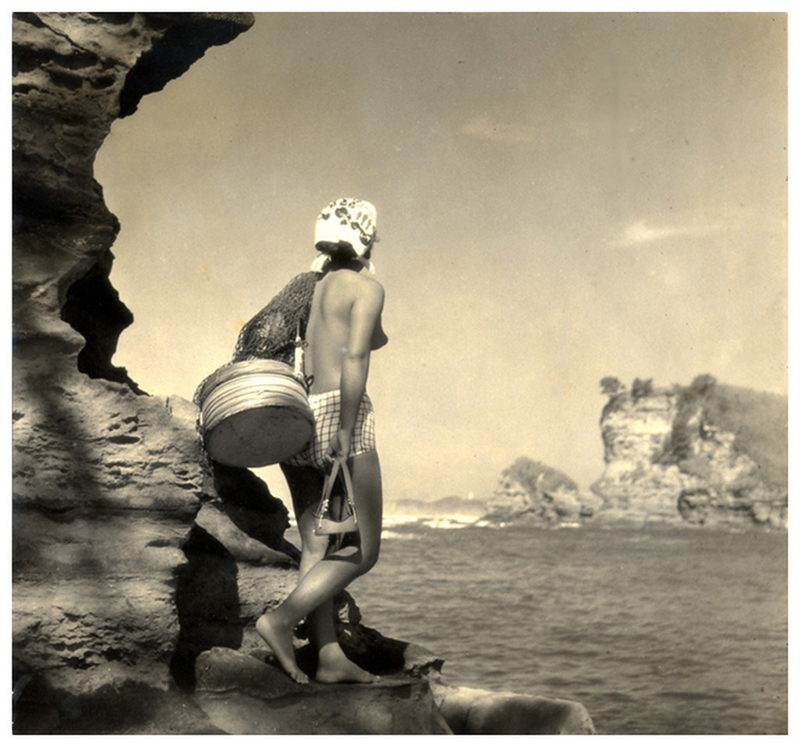 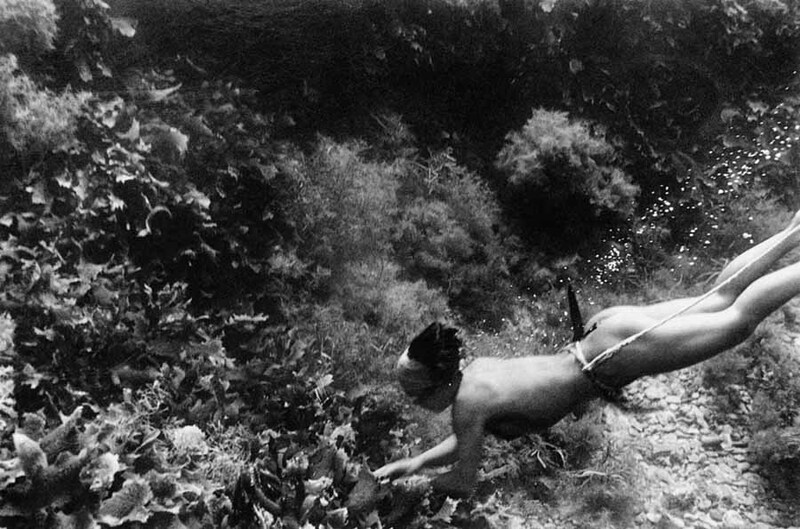 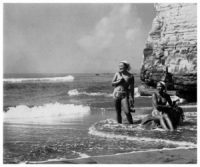 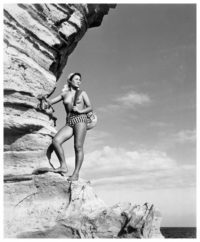 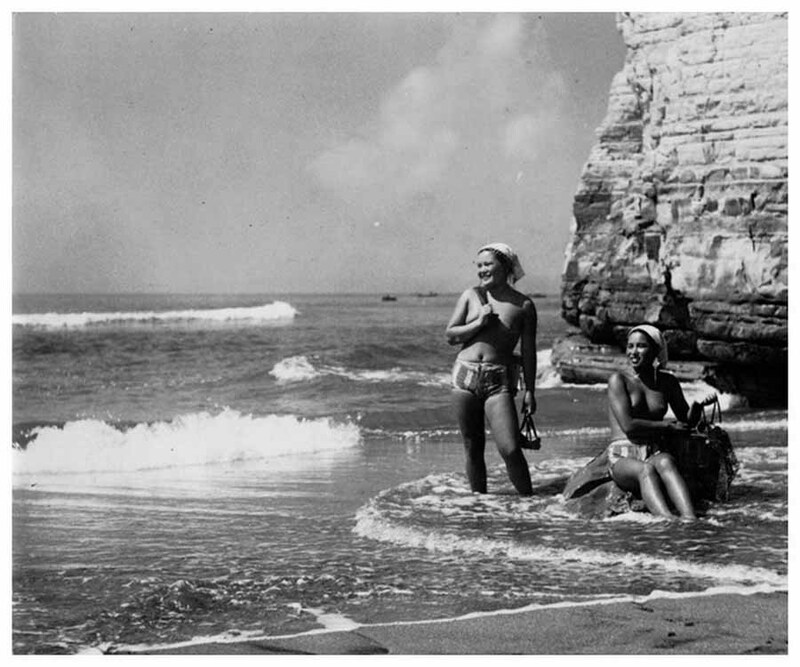 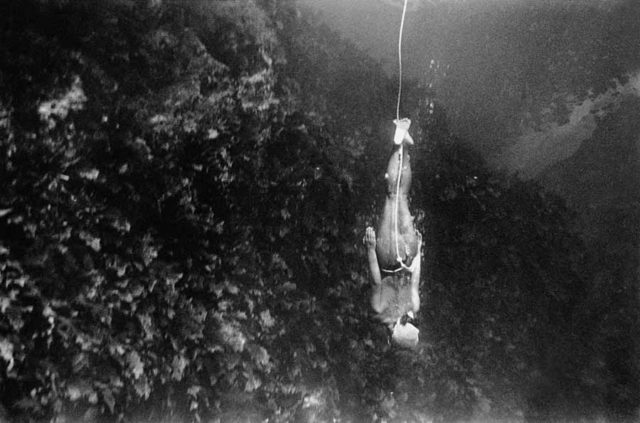 In July 1954 Maraini traveled together with a small film crew to the Japanese island of Hekura Hegura-jima (舳倉島), famous for ama divers. The results were published in a 95 page book, ” HEKURA; The Diving Girls’ Island”.